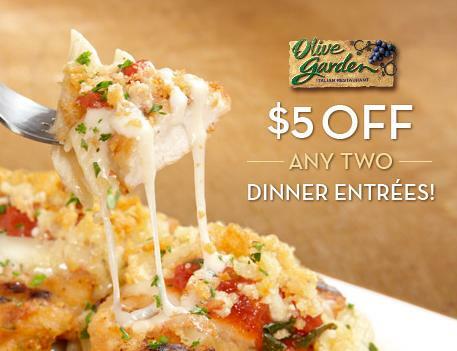 Print this coupon for $5 off 2 entrees at Olive Garden. Coupons expire 5/6/12. It can be used for $2.50 off a single adult meal too! Print Now! Sign-up for the Rockslide eClub newsletter and you will receive an enewsletter and occasional coupons! The Rockslide is located in downtown Grand Junction on Main Street. Sign-up for your free coupon now! 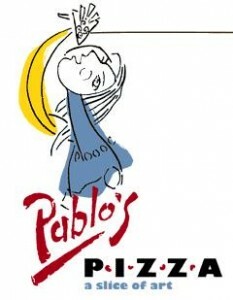 Get $10 of lunch items for only $5 at Pantuso’s Ristorante in Grand Junction, Colorado. This deal is being offered through the Daily Sentinel Deals. Expired Deal. Naggy McGee’s. Good Food & Good Drinks! Traditional Irish Fare & Naggy’s favorites! Made from Scratch! Located in the Beautiful Historic St. Regis!! 4th & Colorado Ave. in Grand Junction, Colorado. Naggy McGee’s does not have any coupon offers at this time! This is a great deal for YogoMojo Frozen Yogurt in Grand Junction, Colorado! Get a $10 coupon for only $5. This deal is being offered through the Daily Sentinel, once your order is placed you will be able to print your coupon. Get you coupon now! Expired Deal. 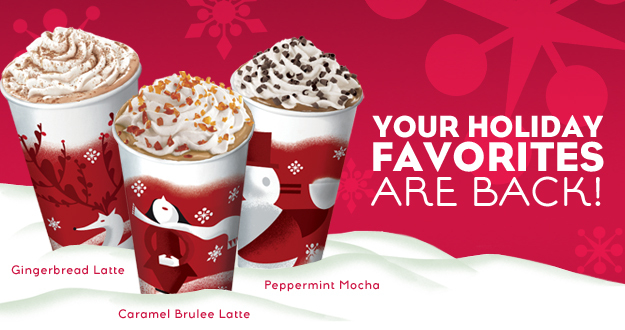 Starbucks is offering Buy One, Get One Free Holiday Drinks beginning today, Thursday November 17, 2011 through Sunday, November 20, 2011 from 2 p.m. to 5 p.m.
One Week ONLY! Save 20% on all 2012 Entertainment Books in addition to Free Shipping. That means you can get a 2012 Entertainment Book for only $28; that equals out to only $2 per month. Hurry this deal expires soon! 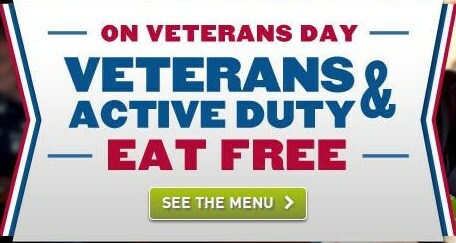 All Veteran’s & Active Military personnel can receive the following free food on Veteran’s Day (11/11/11) as a Thank You for their service. If you know a veteran pass on these great deals! Free Two Meat Salute Entree! Choose two different meats served with a corn bread muffin, corn-on-the cob, and your choice of a side. This deal is only valid in select states. See what your state is offering here. Free Entree! You have the choice of Seafood Alfredo, Chicken Parmigiana, Braised Beef & Tortelloni, Cheese Ravioli, Spagetti & Meatballs, or Unlimited Soup, Salad & Breadsticks. Free Meal! Choose any meal up to $10 in value. Free Lunch Meal! Choose from 10 different entrees plus your choice of a Coca-Cola product, Iced Tea, or Coffee. Only Valid from 11am – 2pm. Free Applebee’s Signature Entree! Entrees include three-cheese chicken penne, 7oz sirloin steak, chicken tenders, fiesta lime chicken, bacon cheddar cheeseburger, oriental chicken salad, and double crunch shrimp. Free Lunch Entree! Choose from any lunch combo, margarita chicken tacos, Santa Fe chicken wrap, Oldtimer with cheese, Margarita Grilled Chicken, Chicken Crispers, or Cobb salad. Offer only valid from 11am – 5pm. Free Grand Slam! Participating Denny’s include select diners in Maryland, Virginia, Arizona, New Mexico, Texas, Indiana, Colorado and Washington, DC). Call ahead to your local Denny’s and see if they are participating. Free Bloomin’ Onion & a Coca-Cola! This offer is valid 11/7 – 11/11. Free Entree with the purchase of an Entree ! Not valid with any other offers, deals, or coupons. Free lunch entree or one topping mini pizza for dinner! Click here to see ad. **Offers are applicable to all military personnel with a valid photo identification and proof of military service (including u.s. uniformed services id card, form dd-214 or current leave and earnings statement with photo id). 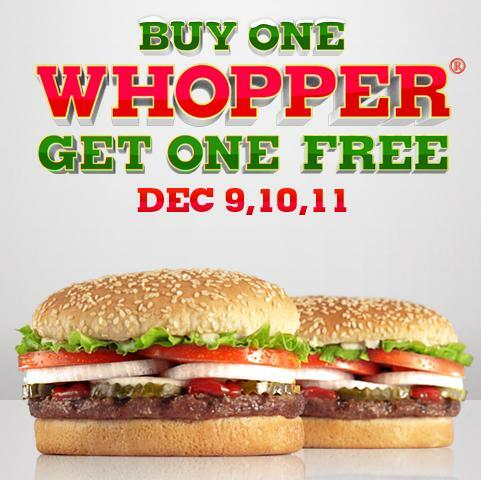 Valid only on 11/11/11. Dine-in only. Prices do not include Beverages or Gratuity. Plus sign-up now to receive Free Food on your Birthday!